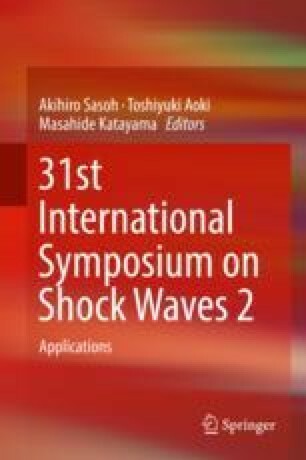 Shock wave propagation through small-scale circular channel is studied using two fast-response pressure transducers. The shock wave is generated by a modified Split-Hopkinson pressure bar shock tube. Pressure profile measured in the channel indicated the sharp increase followed by gradual decrease with fluctuations and several small peaks. Values of peak pressure increase with channel wall temperature, but the shock tube pressure has no significant impact. On the other hand, the intervals between peak pressures decrease with increased shock tube pressure, while the wall temperature has marginal impact.